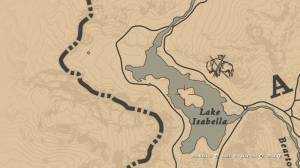 This rare white horse is found in the area around Lake Isabella in the snowy mountains northwest of the map, near the hunting grounds for the Legendary White Bison. It blends really well with the landscape, making it really hard to spot. It’s even harder to spot it if the weather is bad. 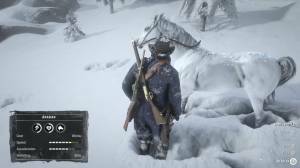 When that happens, you’ll have to camp it out until you get a clear sky. It seems to appear only during the day. Use your binoculars to scan the surroundings as well for a better chance in spotting it pre-emptively, and even better, tracking it. 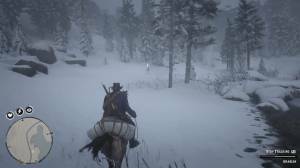 This horse is one of the best breeds in the game with really high stats and elite handling. 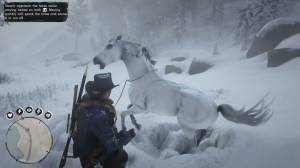 The only downside is that the horse is easily spooked by predators and surprise attacks.